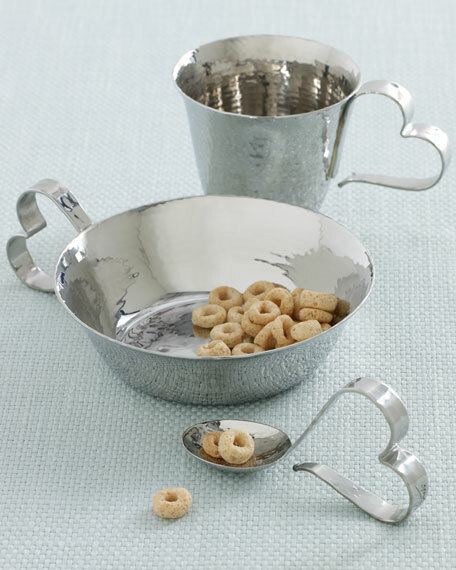 Simple hearts adorn a cup, bowl, and spoon for feeding your bundle of joy. Made of stainless steel by Michael Aram. Set arrives in a gift box. Dishwasher safe. Imported. Bowl, 6"W x 4.5"D x 3.5"T.